LAKE BUENA VISTA — Sunday night might have been another day at the office for Orlando City. 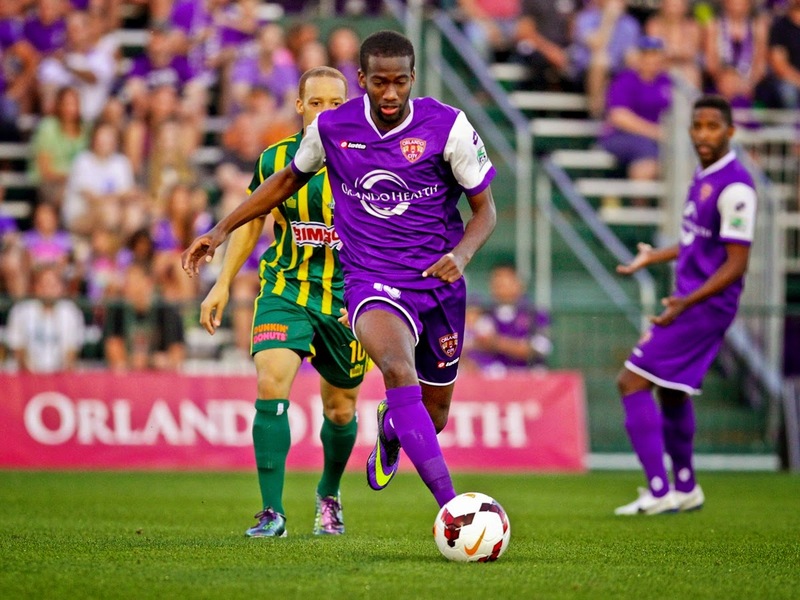 A 7-0 victory behind a hat-trick from MLS signing Kevin Molino. But it was more than just a day at work. It was the start of one of many celebrations to come for Yordany Alvarez, who announced his retirement from soccer after citing medical reasons. “First and foremost, coming to the game with sad news of Yordany retiring, so my three goals was for him,” Molino told reporters after the game. “I’ve been playing with him for a couple years, great guy, great player. We have to win the league for Gio (Alvarez) who won’t be playing with us no more. Despite only few games together this season, the friendship between both Molino and Alvarez dates back to Orlando City’s inaugural season in 2011. Although Alvarez finished that season as USL PRO Most Valuable Player, it was a relationship, mostly started by Heath, that began to form on and off the field. One Cuban and one Trinidadian formed a friendship that soon went different ways. Molino earned league MVP the following season and Alvarez went on to sign with MLS side Real Salt Lake. It seemed like it was destiny when it was announced that Alvarez would be returning not only to Orlando but to reunite with a ‘brother’ they shared one championship season together. Although both Molino and Alvarez share one USL PRO championship together, no matter the outcome of Orlando City’s 2014 season, their friendship off the field will overweigh any trophy on the field. League glory, however, is in the hands of destiny. And if there’s one thing both players have in common, destiny has already appeared on and off the field.